What occurs during and after intermediate treatments and final harvest determines whether and how a forest will be renewed, and its future composition. Chief among the effects are the condition of the soil and the condition of any advanced regeneration and its composition. Because harvest systems alter forest canopy and structure, it is important to control the removal of products in ways that site microclimate and soil are sufficient to regenerate desired tree species. This involves simultaneous considera tion of the forest itself and available labor and machinery. Designing a harvest system involves weighing biotic and abiotic factors of forest inventory and topography. Minimizing damage to residual trees, other plants, animals, and soil is possible by the methods chosen and the timing of forest operations. The same property that makes wood so useful, lightness relative to strength, also makes it bulky in relation to its weight; so harvesting and transportation can be expensive. Harvest systems, which include falling, skid ding, and hauling, are an important part of harvest planning. These systems include ground based, cable, and helicopter; they differ in the amount of associated soil disturbance and in their cost. System selection considers factors like slope, value and size of trees removed, equipment availability, and site objectives. 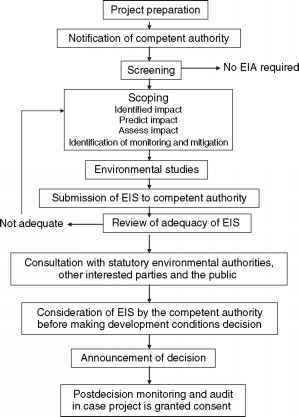 Helicopter logging disturbs soil and site vegetation the least (see Figure 9), but it is the most expensive system. In contrast, ground based systems are less costly, but affect a larger area. The systems all rely on equipment to cut trees and remove logs to an area where they can be loaded on trucks or other transportation. At its simplest, this could include using a handsaw to fell trees and delimb them, then attaching ropes or cables to drag, or skid, them from a site with a tractor or animal. 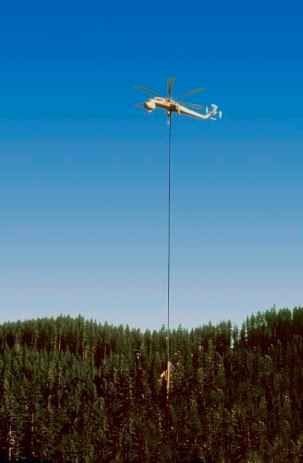 Figure 9 Helicopters can be used to harvest timber from areas where road construction and skidding of logs over the terrain would potentially cause severe erosion. The helicopter shown here is a heavy-lift machine capable of lifting an external load of about 11.31 under optimal conditions. some canopy cover. Similarly, on sites where shrubs, herbs, or non native plants are a concern, reducing their competitive advantage by keeping them in shade can be a useful practice. Postharvest effects such as erosion can be anticipated by installing water bars and culverts in roads.